Table Tennis, also known as Ping Pong, began as a simple “parlor game” to enjoy indoors during cold winter months. The classic game we have grown up to know has evolved to become a popular recreational activity played both inside and outside. 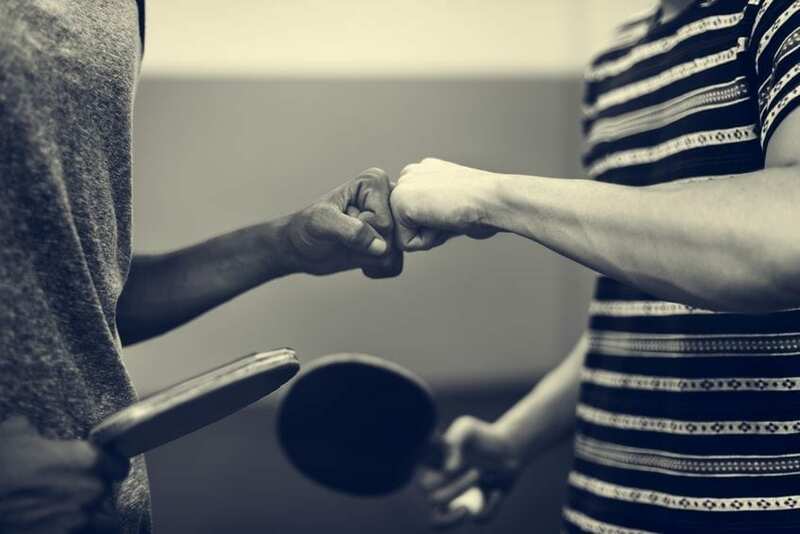 From an Olympic sport to a common piece in many game rooms, table tennis has provided entertainment to all types of groups. Playing table tennis is a great way to spark up competition with family and friends, or to simply unwind after a long day at work. The Games For Fun team wants to educate you on the two major brands to consider when shopping for a ping pong table, Kettler and Joola. Our showroom in San Bernardino carries a variety of tables, accessories, and replacement parts from both brands that provide long lasting durability and entertainment. For decades, Kettler has been a household name; providing high quality equipment and accessories needed for a fun round or tournament of ping pong. Their tables are sturdy, safe and functional for any home. Our Kettler Top Star XL Outdoor Table is an enormously durable table made from a precision engineered sealed aluminum. This table is ideal for your backyard, as the weatherproof top features the ALU-TEC underside with Climate-Control technology. The smooth, anti-reflective and certified True Bounce tournament top is ideal to endure the outdoors on a daily basis. We love this table because of how well it holds up in weather conditions, including the glare from the sun. The net stays attached to the table at all times; it will remain up even during storage mode. Whether you want to enhance your skills simply enjoy some ping pong time with friends, a Kettler table will always provide a great experience. JOOLA USA understands that players come in all forms, so the brand takes pride in creating tables and accessories for all skill levels. That means when you shop JOOLA USA, you are sure to find what you want and need. With JOOLA, you can start playing like a champion with equipment developed for professionals and regular players alike! The JOOLA Drive 1800 is the perfect addition to any room in your home. Each of the four corners is fitted with a JOOLA patented ball holder that holds up to three 40mm balls- so no more chasing after stray balls! The table comes with two magnetic abacus scorekeepers that can attach to the ends or sides of the table and a net set with adjustable posts to ensure a level playing surface. Show off your skills among friends, family, or coworkers on this competition standard table. Choosing a ping pong table that’s right for your home can be complicated, as each table is unique. You are going to want a table that will not only supply you with endless enjoyment; but a sturdy, long-lasting piece to keep in your home for years as well. Save on our next ping pong table with our Black Friday Sale! From November 23rd through November 26th, Games For Fun is offering 10% off everything in store and online, and for in-store purchases, buyers can enjoy 6 months same as cash financing for orders $500 and up with approved credit. Browse our selection of ping pong tables online or stop by our showroom to see them in person.